BIT is a Kingdom initiative that seeks to raise the next generation of billionaires in the Kingdom of God. The focus of the 2017 conference will be to reach out to the unchurched, equip Christians for the marketplace and evangelism. It will be a fantastic spirit-filled encounter that will ensure we all move a step closer to our vision: “a whole city can be born-again in one single day”. 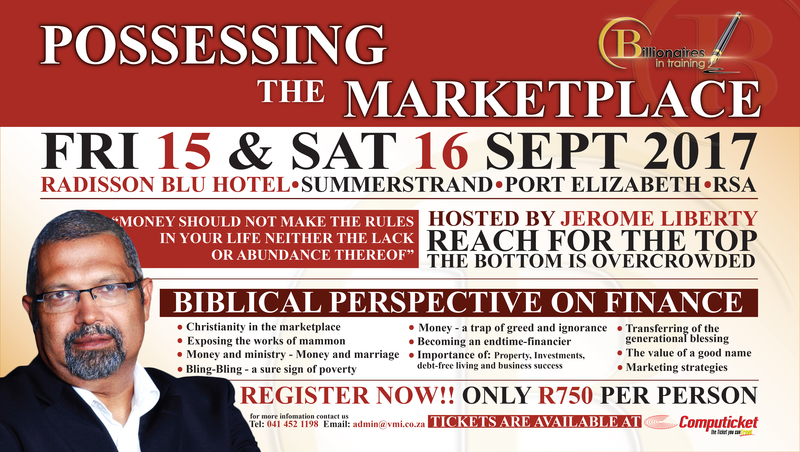 BIT encourages Christians to use their wealth to advance the Kingdom of God, the 2017 theme is Possessing The Market Place. “We are raising the next generation of marketplace apostles (Christians in Business), men and women who will take cities and nations for God through the power of the Gospel and their funds,” said conference host, Apostle Jerome Liberty. The conference has featured prominent business people: Apostle Liberty having been the best contractor to Telkom nationally in the mid-1990’s; former finance MEC and SABS chairman, Martin Kuscus; founder of the multi-billion dollar Mergon Group, Francois Van Niekerk; Port Elizabeth entrepreneur and attorney, Nadan Naidoo; and former national planning commissioner, Dr Bridgette Gasa. 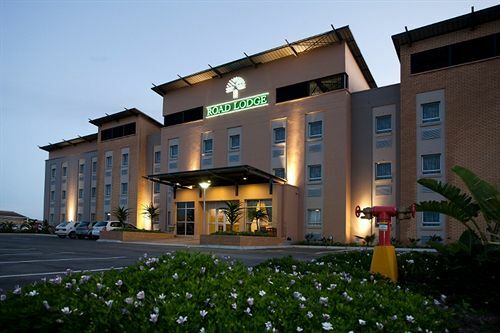 Please feel free to use the 10 among the many hotels that we recommend, they are well positioned for traveling between the airport and the venues for our conference, not to mention the beautiful sea view. Visit our social media pages for more information.